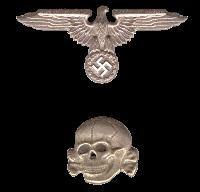 The Reich Main Security Office [RSHA] was a department in the Reich Ministry of the Interior and in the . The term "Chief of the Security Police and SD" describes the person who is the head of the GESTAPO, KRIPO and the SD, and of their headquarters office called the RSHA. The "Chief of the Security Police and SD" and the "head of the RSHA" are always one and the same person. The central offices of the GESTAPO and SD were coordinated in 1936 with the appointment of Heydrich, the head of the SD, as chief of the Security Police. The office of Heydrich was called "Chief of the Security Police and SD." When the central offices of the GESTAPO and SD, together with the Criminal Police, were centralized in one main office (RSHA) in 1939, the functions were somewhat redistributed. After Heydrich was assasinated in January 1943, the RSHA was headed by Ernst Kaltenbrunner. Amt II handled organization, administration, and law for the three agencies. Subsection C handled domestic arrangements and pay accounts, and was divided into two sections, one to take care of pay accounts of the Security Police and the other to take care of pay accounts of the SD, since personnel of the former were paid by the State and personnel of the latter were paid by the Party. Amt III was the SD and was charged with investigation into spheres of German life. Amt IV was the GESTAPO and was charged with combatting political opposition. Amt VII handled ideological research against enemies, such as Freemasonry, Judaism, political churches, Marxism, and liberalism. The GESTAPO and SD took civilians of occupied countries to Germany for secret trial and punishment. On 7 December 1941 Hitler issued the directive, since called the "Nacht und Nebel Erlass" (Night and Fog Decree), under which persons who committed offenses against the Reich or occupation forces in occupied territories were to be taken secretly to Germany and surrendered to the Security Police and SD for trial or punishment in Germany. After the civilians arrived in Germany, no word of the disposition of their cases was permitted to reach the country from which they came, or their relatives. On 18 September 1942, Thierack, the Reich Minister of Justice, and Himmler came to an understanding by which antisocial elements were to be turned over to Himmler to be worked to death, and a special criminal procedure was to be applied by the police to the Jews, Poles, gypsies, Russians, and Ukrainians who were not to be tried in ordinary criminal courts.